Is there a femme Vitale hidden within your client, just waiting for expression? Belmacil. 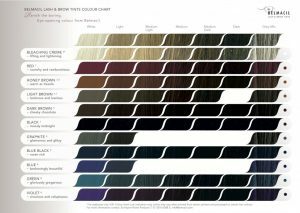 With a superior Swiss formulation and eleven luxurious colours to choose from including, Black, Blue Black, Dark Brown, Light Brown, Honey Brown, Graphite, Blue, Violet, Blonde brow lightening creme, Red and Green, you can create a look for each of your clients as individual as they are. 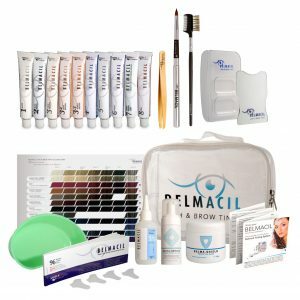 Belmacil colour chart an easy guide for choosing the right shades for your clients.